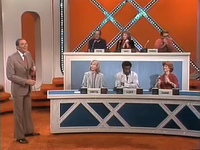 Remember the old TV game show, Match Game, that was hosted by Gene Rayburn? It was sort of a fill-in-the-blank style game where the celebrity contestants tried to come up with what they thought would be the most popular response. My favorite thing to stuff is ______________________. Popular answers included turkey, pillow, and even the occasional bra. BUT YOU SHOULD NOT USE KEYWORDS TO STUFF ANYTHING. EVER. If you used “keyword” to fill in the blank above, you should be hearing the commensurate BUZZER. Many people already know that stuffing your website’s content with keywords not only makes for a ridiculous looking website whose written content is non-sensical, but it also results in your website being penalized by the search engines. Part of the ever-evolving technology behind the bots is their ability to be intelligent about discerning keyword stuffing, recording it and then bashing your website’s ranking because of it. The story is told of a small business owner who paid to have his existing website redesigned. After the shiny new website was launched, a dramatic drop in visits and impressions was noted. Further investigation revealed that the website had been laden with alt tags that were stuffed with keywords as well as copies of the titles of the product images. As always, the best way to approach your keyword usage is honestly. That is to say: write your content with your keywords and keyword phrases in mind, but do not blatantly drop in keywords every other sentence just because you can. Good quality content that is written to your target audience will carry its own weight; no need to pump it up with stuffing. Other basic SEO techniques, if properly followed, will naturally (a.k.a. organically) work together over time to produce pleasing organic search engine results. Keyword stuffing is a big topic. While the concept is basic, there are a number of ways to do it and all of them are bad. For the purposes of this post, here is a less-obvious opportunity for keyword stuffing: Alt Tags. Keeping your alt tags descriptive but short, and specifically describing the image they are attached to, is the best practice. Stuffing the alt tags (or anything else) is the opposite of best practice. Questions about this topic, keyword stuffing in general, or any other SEO item are gladly welcomed!